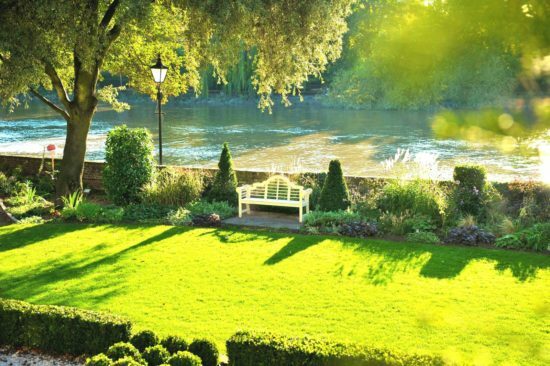 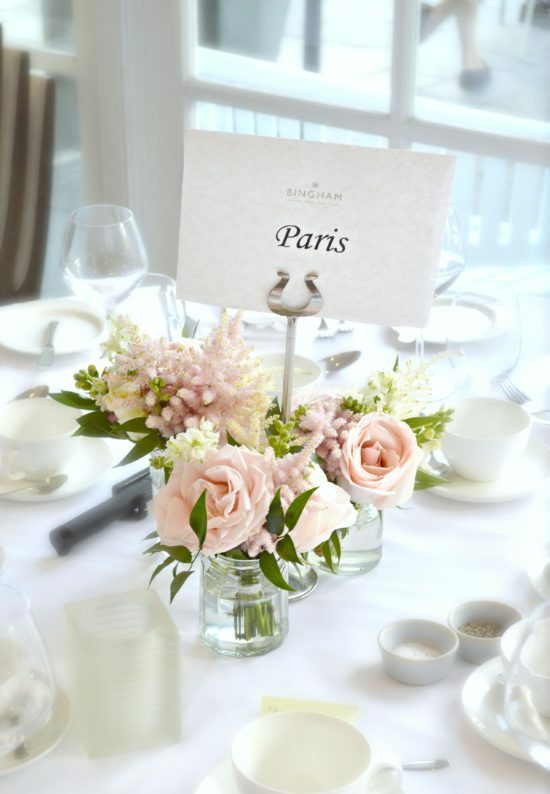 Katie and James tied the knot at Bingham Hotel in Richmond, it is the best setting for a relaxed garden style wedding by the Thames in the summer. 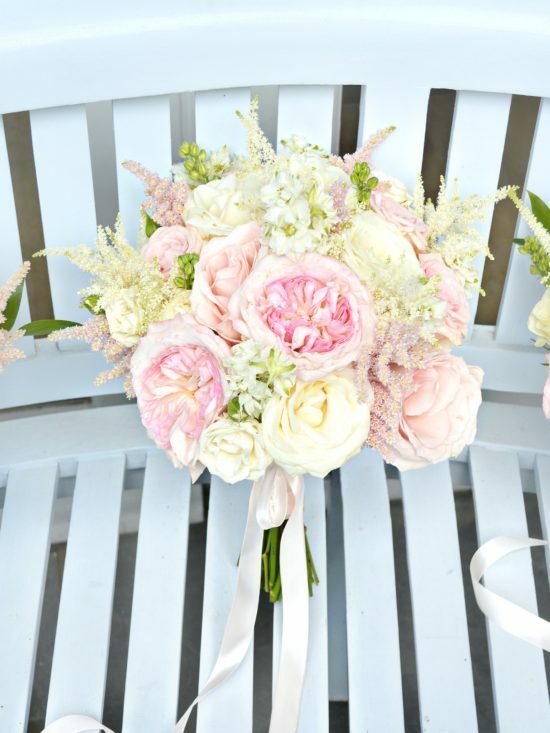 James and the bridal party wore blush pink avalanche rose and cream astilbe buttonholes. 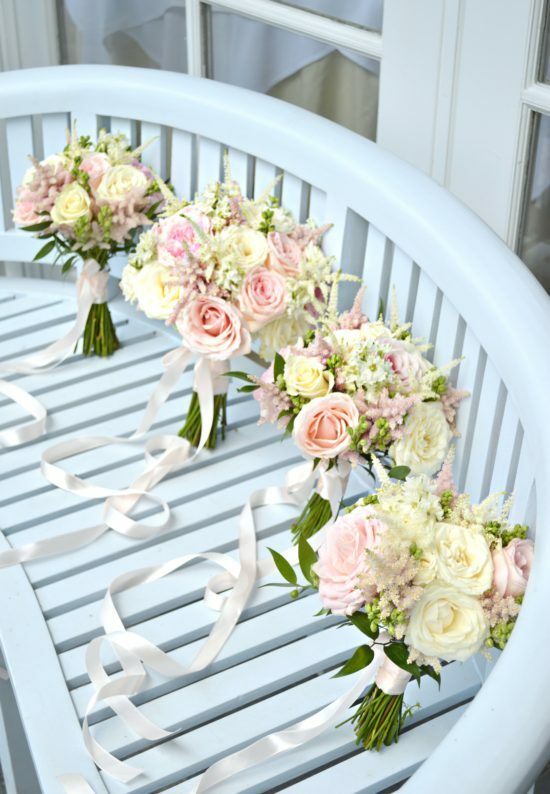 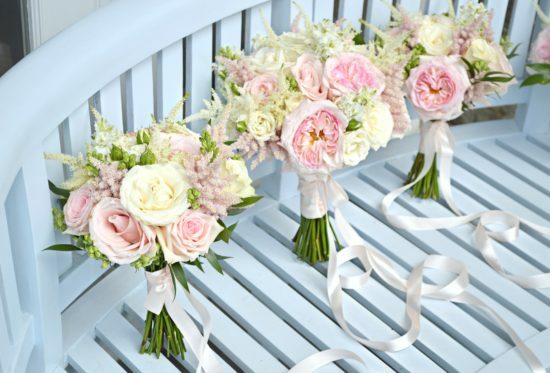 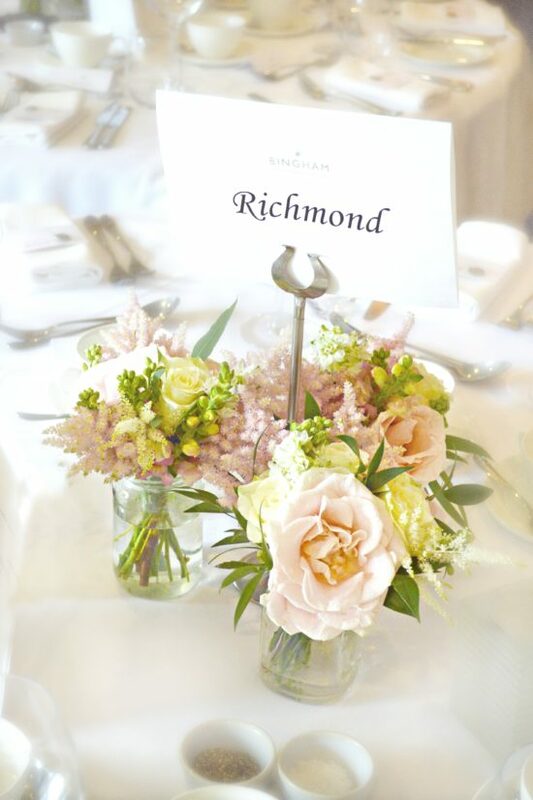 For Katie and the bridesmaids, we designed a relaxed natural form style bouquets with blush pink David Austin roses, avalanche roses and cream astilbes. 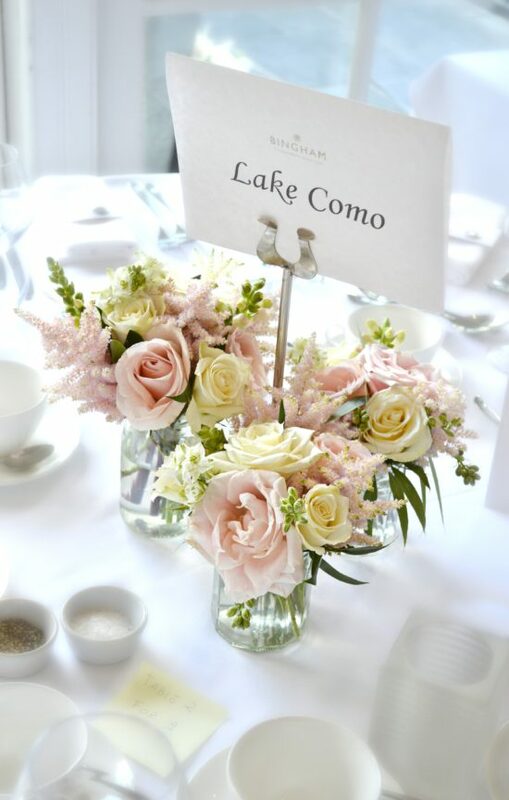 The wedding reception flowers continued the relaxed garden look with jam jars filled with the matching blooms. 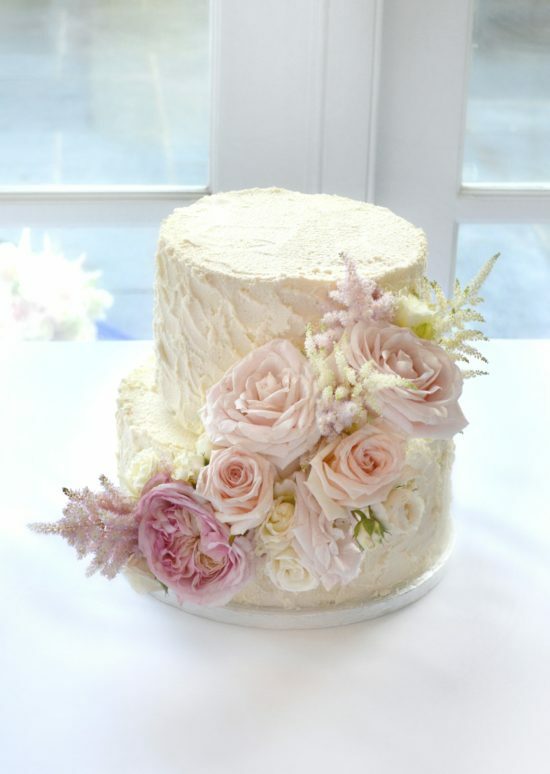 The wedding cake had the rustic buttercream finish, we decorated it with a mix of soft blooms from the day.